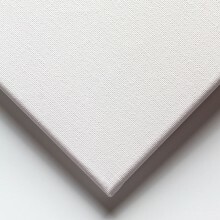 A good quality canvas that is ideal for students or artists looking for a low cost painting surface. 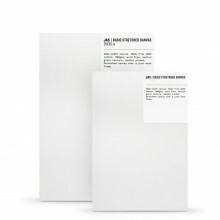 JAS Basic 16mm Canvas are ideal for students or artists looking for a low cost painting surface. Made from 280gsm 100% cotton canvas stretched and stapled around Paulownia wood stretcher bars, they are universally primed and ready to use with oil and acrylic paint. These lightweight canvases are 1.6cm deep and come with eight wooden wedges per frame to tension the canvas. The surface is medium/fine grain (smooth) which makes them ideal for thin, detailed work. While they are also suited to thicker applications of paint, none of the canvases in this range have cross-bars - this means they may warp under extreme amounts of weight.